Catch the electrifying hit musical, The Book of Mormon this weekend with your loved ones! After running a successful period at Broadway, The Book of Mormon is transferred at London Westend. This is one of the immensely awaited shows and has won several massive and critical acclamations. The show marked its opening at Eugene O’Neill Theatre in Broadway. The magnificent London show has created waves all across the world. This modern musical has been created by Trey Parker, Robert Lopez and Matt Stone. The satirical London show takes some major potshots from religion to consumerism. The controversial musical, The Book of Mormon has stunned the whole world with its wits and satirical take on some significant issues. The popular London musical, The Book of Mormon is the winner of Tony award for Best Musical. This is one of the most loved musicals and wooing audience successfully to the theatres. At the magnificent Prince of Wales Theatre, hit musical The Book of Mormon is enlivened up some lively performance. 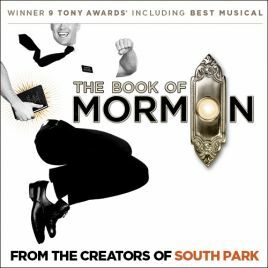 The Book of Mormon has been penned by the Tony Award winning writer of Avenue Q, Robert Lopez and directed by Mr. Parker and Casey Nicholaw. So, feel the magic of the record breaking London musical, The Book of Mormon with your family and friends at Prince of Wales Theatre! 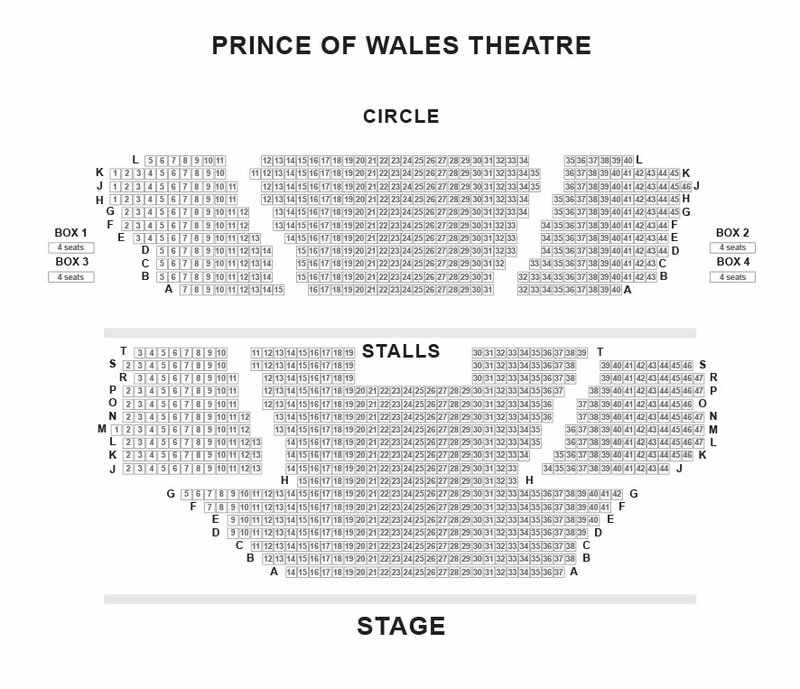 The mesmerizing London musical can be enjoyed at fullest at Prince of Wales Theatre! We offer safe and secure booking with seat allocation made before the payment done. All booking will be done from the official STAR agent Websites. So, get your tickets now and have a memorable experience! Immensely anticipated popular London show The Book of Mormon has already stirred the box office with its houseful shows. The show was also bit hit in Broadway and went winning several prestigious awards and acclamations. The major highlight of the show is certainly outstanding performances by the cast members. With sizzling performances by the actors and superb orchestra, the show certainly grips the viewers tightly. The brilliantly directed satirical show has a few amazing funny moments and also some controversies to is credits as it has been directed against a specific religion followers and they are quite active. Few performances need to be mentioned such as Elder Price and Cunnigham. They are not stunning as Mormons only but also as human beings. Most of the time, the viewers laugh with them instead of laughing at them. The Book of Mormon is worth watching featuring chart busting musical numbers. For some audience members, it might be indecently funny or may not like taking pot shots at some religious belief. However, the show is quite entertaining and worth watching for an enjoyable weekend with loved ones! Decided to watch Book of Mormon after reading few reviews - they were mixed ones and I am not South Park fan but it is a 9 time Tony Awards musical and everyone else wanted to watch in the group, so decided on this one. It's a story of two Mormon missionaries on a quest to teach a Ugandan village the ways of the Church of Jesus Christ of Latter-day Saints. I'm so glad I went as it was hilarious, brilliant, offensively stupid at times but full of laughter. Great music, fantastic cast and set. The cast was very talented, the music and dancing was top notch and the whole theater was doubling with laughter right from beginning to end. The explanation of how the Mormon religion came into being is so funny and the way it is given a hilarious twist is just outstanding. Fantastic presentation. I am so glad got a chance to watch this master creation. One Of The Best Shows On The West End My brother took me to see Book of Mormon for my birthday and I have to say that it was one of the best shows I have ever seen on the West End. --Venue-- The venue of the show I thought was good, although considering this is a popular show, it did get quite crowded, especially for the bar and toilet. The seats we were in were quite close to the stage in the middle and they were comfortable. The seats were also arranged in a way that the person in front of me wasn't obstructing my view. If you are purchasing a ticket and can do, I would get tickets close to the stage as the experience was amazing. --The Show-- From watching it, you can tell it is from the creators of South Park but in all honestly, I don't think it is as offensive as people think. There are some crude moments or some moments that can be considered bad but the way that it is portrayed is more funny than vulgar. I thought the show was spectacular and extremely funny. My sides were hurting when I came out. Everything in the show fitted together nicely and all the characters were amazing to watch. The acting, singing and dancing was brilliant, I have to admit that I wasn't expecting something as amazing as what I watched. I cannot congratulate the performers enough for their work. I think this is a show that anyone can enjoy but you need to go into it with an open mind. If you are someone that is extremely easily offended then I would avoid this. Although I didn't find it offensive and the way the offence is done is more funny, some people who get easily offended by anything may not enjoy this show the way it should be. It is not to offend anyone or to make fun of anyone, it is simply for humor and should be taken as such. --Overall-- It was an amazing experience and a show that didn't disappoint. The songs are stuck in my head and I would happily go watch it again. If you are looking for some great venue for eat, party and drink them this is surely one of the hottest spots to go for. 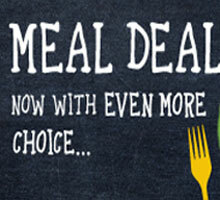 With great menu which caters to every taste bud such as Chilli Con Carne topped with melted cheese and served with rice and spicy tortilla chips, Macaroni Cheese (V) with toasted chive crumb, Spiced Tuna Melt with melting Mozzarella spring onions and a salad garnish with Fish Finger Sandwich. The restaurant is located just 35 meters from the theatre and offers authentic British cuisine. The brand new state of the art restaurant is at a distance of 153 meters from the theater and known for private and semi-private themes area with ultra cool Hollywood style décor. The restaurant is known or some mouth watering delicacies such as Spaghetti Pomodoro, Classic PH Burger, Classic Cheeseburger or Veggie Burger (V), Grilled Chicken Caesar Salad, Southwestern Grilled Chicken Salad, Blackened Chicken Sandwich etc. Located in the famous Leicester Square and near most of the theater, the restaurant offers lip smacking British cuisine. Other major highlights of the restaurant are BBQ half rib racks and traditional beef burgers as well as fajitas and vegetable currie and many more! Experience an ultimate London Theatre Break with one of the topmost five star London Hotels. The luxurious five star hotels will make your show more exciting and enjoyable. Combination of any of the five star hotel with a Westend show will be a complete value of money as you would be able to enjoy great savings. On the contrary, buying show tickets and hotel room separately will be costlier as compare to opting for London Theatre Breaks. So, have a quality time with your loved ones by booking London Theatre Break and enjoying your favourite London show at fullest! The stunning five star hotel Andaz is located adjacent to the Liverpool Street Station in a magnificent red brick Victorian building. The hotel is at a nearby distance to some of the popular tourist attractions such as Tower Bridge, the Tower of London, St. Paul's Cathedral, and Spitalfields Market. For shopaholics, Oxford Street and Regent Street are at a walking distance along with theatres, bars and restaurants. The five star hotel dates back to 1884 with occupancy of finely appointed 267 rooms. This is undoubtedly one of the most stylist hotels of East London offering some of the finest delicacies, world class services and luxuries. This is another hugely famous five star hotel of London with the reputation of offering world class services at best prices. Some of the major services offered are bar, concierge, indoor swimming pool, restaurant, safe, spa, Wi-Fi, air-conditioning, cable, Gym, leisure activities, Internet, sauna etc. Note: This accommodation is Room Only, breakfast is not included. The scintillating five star hotel is renowned for its unique fusion of old and new. The classic beauty of hotel from outside and the ultra-modern ambience from inside makes this hotel a perfect place to enjoy some great time with your dear ones. Some of the major highlights of this hotel are high ceilings, enormous original windows, Murano glass chandeliers and Promemoria furnishings. Enjoy some great lip smacking food at Bistrot and Belgravia Restaurant.